I thought loving Lardon would be a no-brainer. It's bacon! And look at that great marketing up there! Well, I didn't love it. That's actually an understatement. It was downright bad. 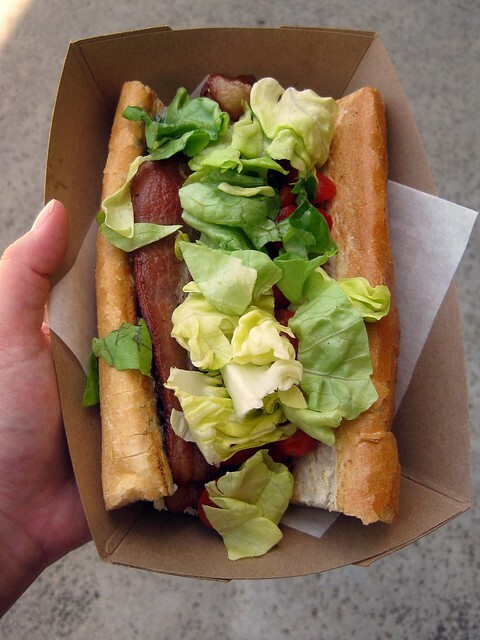 The Lardon -- BLT with Nueske's peppered bacon, butter lettuce, tomatoes, and St. Agur bleu cheese on a toasted baguette ($6). The bacon ought to have been the star. It was horrific, chewy, and just gross -- so bad that I ate half and threw the rest away. wow....so strange a truck specializing in bacon was bad. how did they manage to screw that up?! very very odd. maybe they should've put more lard on. Oh no! 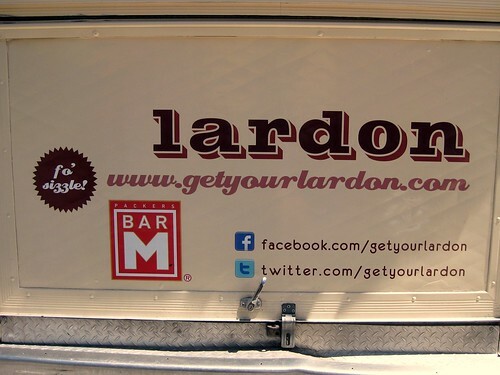 I liked Lardon. Maybe just an off day, sorry to hear, though! this is terrible! 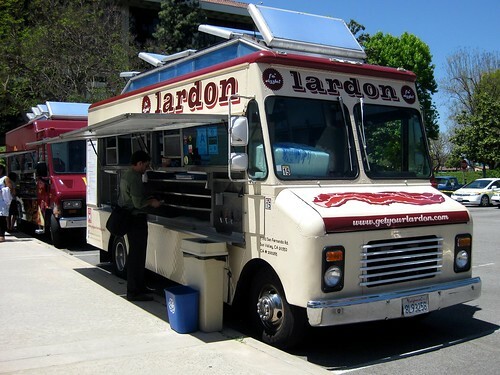 i had such a great experience at lardon.